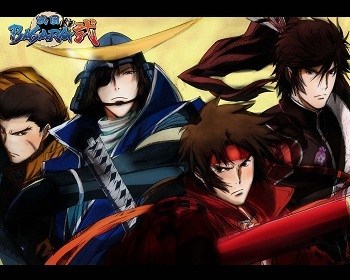 Sengoku Basara is a modern beat’em up video game series by capcom. So far there are 3 main series games, one upgrade for SB2 called Sengoku Basara Heroes and a 2D fighting game spinoff with the name Sengoku Basara X. The first part was released as Devil Kings in the USA and Europe. 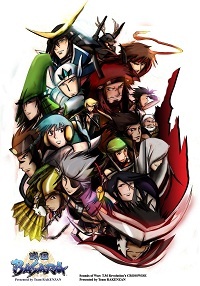 The series is very popular in japan and spawned a anime series among various merchandising articles of all forms. Its characters are based on real persons from japans history. In the games they have fantasy looks and movements though.